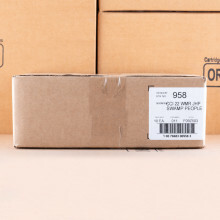 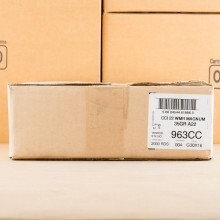 22 WMR AMMO IN BULK SHIPS FOR FREE AT AMMOMAN.COM! 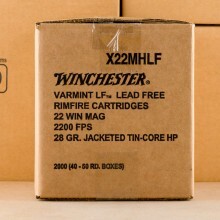 22 Winchester Magnum Rimfire (WMR) ammo is a rimfire cartridge most commonly loaded with a 40-grain projectile. 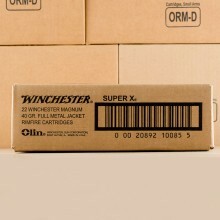 Winchester introduced the caliber for sale in 1959 where it was originally used in rifles but it didn't take long for Ruger and Smith & Wesson to introduce revolvers chambered for 22 WMR as well. 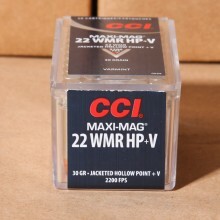 Today, .22 Magnum shooters have a round that's awesome for plinking but can also be used to take down smaller varmints. 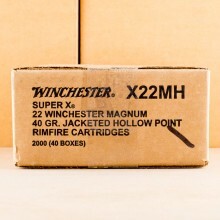 22 WMR ammunition is also commonly called “22 magnum”, “22 mag” or 22 Winchester Magnum Rimfire. 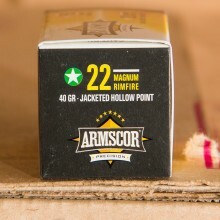 The round itself is lightning quick out of the barrel and accurate up to 1 MOA, making it a very desirable round for rimfire shooters looking to take down varmints as large as coyote and fox. 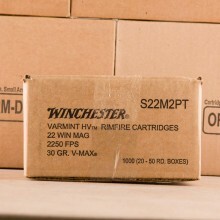 22 WMR has a larger case than 22lr ammunition in terms of both length and diameter. 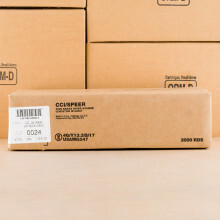 A thicker case means you can load 22 WMR ammo to higher pressure than the long-rifle round and the two cannot be used interchangeably between rifles. 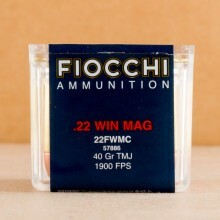 Additionally, while the 22 WMR cartridge derived from 22 WRF (Winchester Rimfire) you should not chamber 22 wmr ammo in a firearm designed to fire 22 WRF. 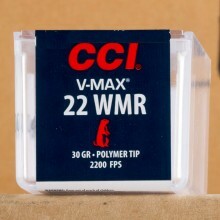 In terms of ballistics, 22 WMR is fast! 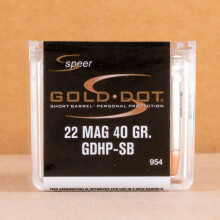 The standard 40 grain bullet travels at around 2,050 feet per second out of the barrel and delivers about 325 foot-pounds of energy. 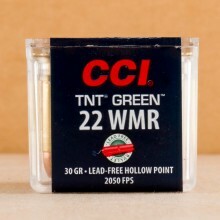 You’ll traditionally find 22 WMR bullets loaded anywhere between 30 and 50 grain. 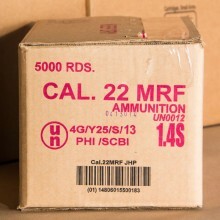 Most seasoned shooters can reliably fire at targets in the 125-yard range with the round, making it an excellent choice for rabbit, prairie dog, and raccoon hunting. 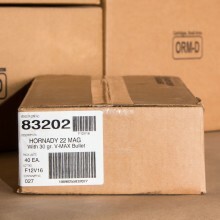 Although difficult to find and not manufactured in the same volume as more popular rimfire rounds, look for 22 WMR rounds in-stock made by leading manufacturers like Remington, CCI, and Hornady here at AmmoMan.com.